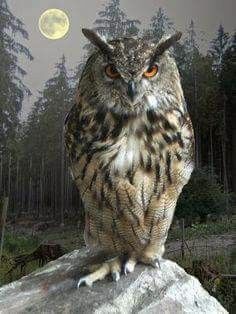 Sometimes a picture is worth a thousand words…and then sometimes a few words can paint a picture, like this one I found on Pinterest which reminded me of my silly little Oliver Owl poem. Happy Saturday. (Original post for today will be posted tomorrow). as wise as wise can be. in shades of brown eggshell. at his home in the old pine tree. This entry was tagged art, delicacies, forest, lightheartedness, moon, night life, owls, poetry. Bookmark the permalink.